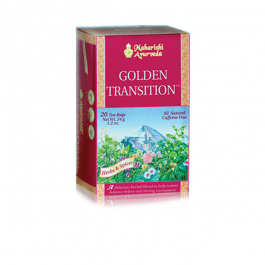 Golden Transition Tea is designed to help maintain balance of mind, body and emotions from the onset of menopausal changes. 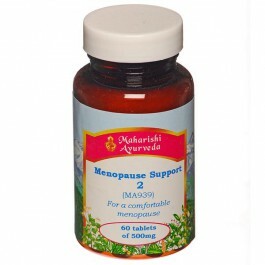 Ashoka and Lodha bark and Sappan wood support female hormonal flow and balance. Cinnamon and cardamom help maintain optimum Calcium absorption. Winter Cherry maintains resistance to stress. Use GTT during peri-menopause and post menopause. Enjoy the delicious natural flavours of peppermint, spearmint and liquorice. 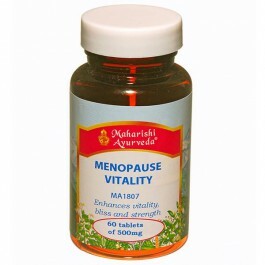 Liquorice contributes the sweet taste, useful for pacifying Vata. Cardamom is tridoshic (good for balancing all three doshas). Cardamom is considered an excellent digestive. 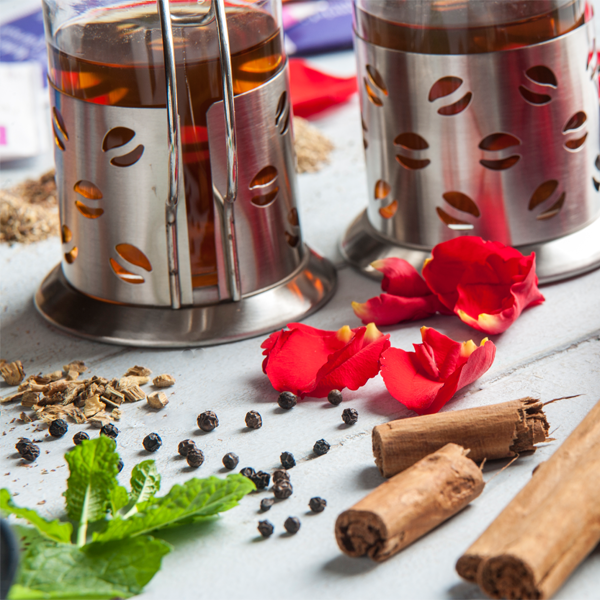 Cinnamon is used to balance the digestion and to maintain stomach health. Cinnamon and Cardamom help support calcium absorption. 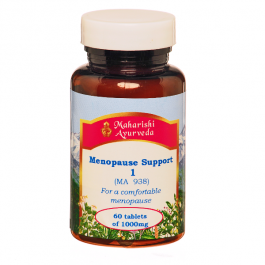 Ashoka , Lodha and Sappan Wood support female hormonal flow and balance. Black Pepper helps enhance bioavailability. Infuse the teabag for 5-7 minutes in boiled water. One bag makes one cup of tea.